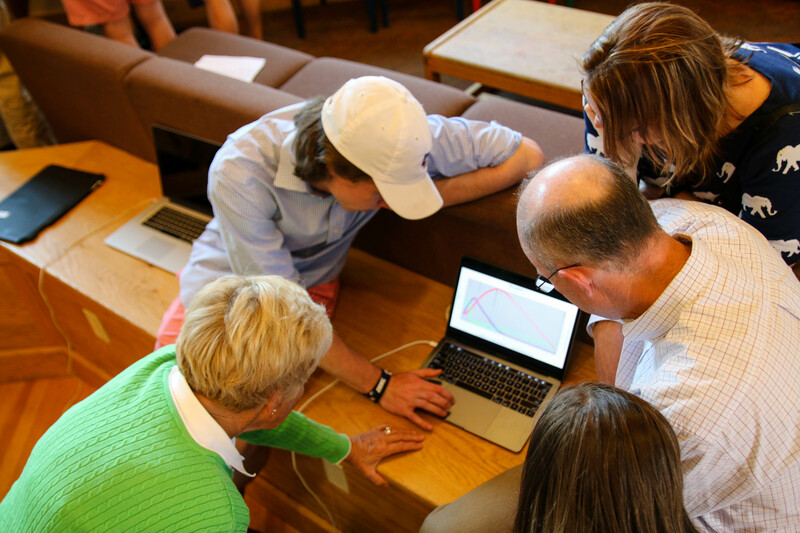 During a visit to the Dartmouth Entrepreneurship (DEN) for Project Period, Dartmouth’s Director of Entrepreneurship,Jamie Coughlin, described innovation and entrepreneurship as THE 21st century skill students must possess as they enter the workforce. Over the past three years, Proctor has taken Jamie’s advice and run with it through the development of new courses in Social Entrepreneurship, Entrepreneurship, the adaptation of existing courses to focus heavily on hands-on innovation projects, and the introduction of semi-annual Innovation Nights to showcase student projects each fall and spring. 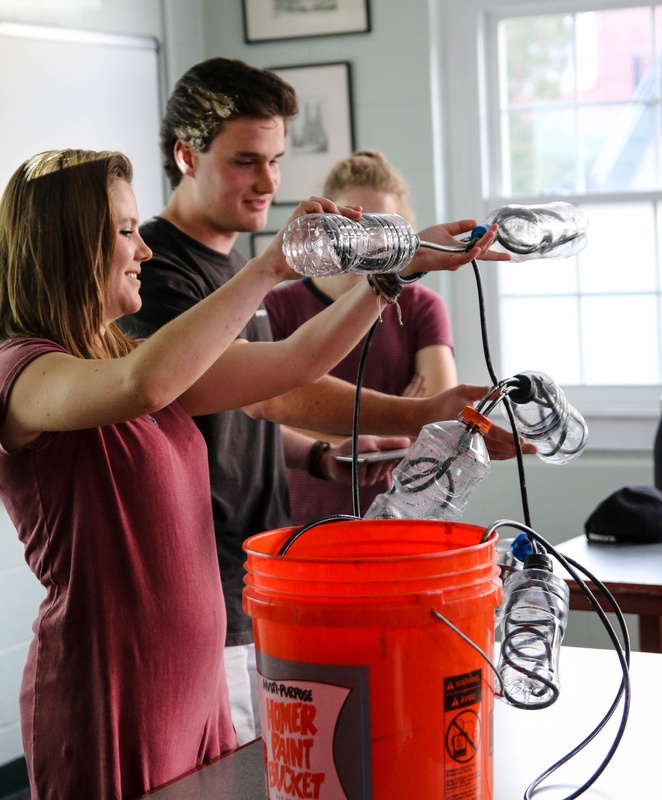 When combined withProctor’s off-campus programs, integrated Learning Skills program, and a continued emphasis on project based learning as core to each academic class, this overarching theme of innovation adds an exciting dimension to Proctor’s educational model. 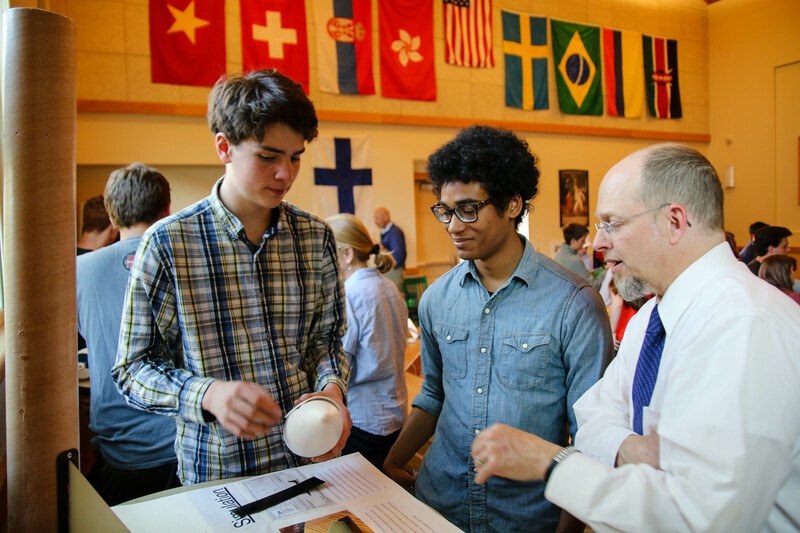 On Tuesday evening, Engineering, AP Environmental Science, Physics, and Globalization students demonstrated the confluence of Proctor’s educational model during Proctor’s fourth Innovation Night. 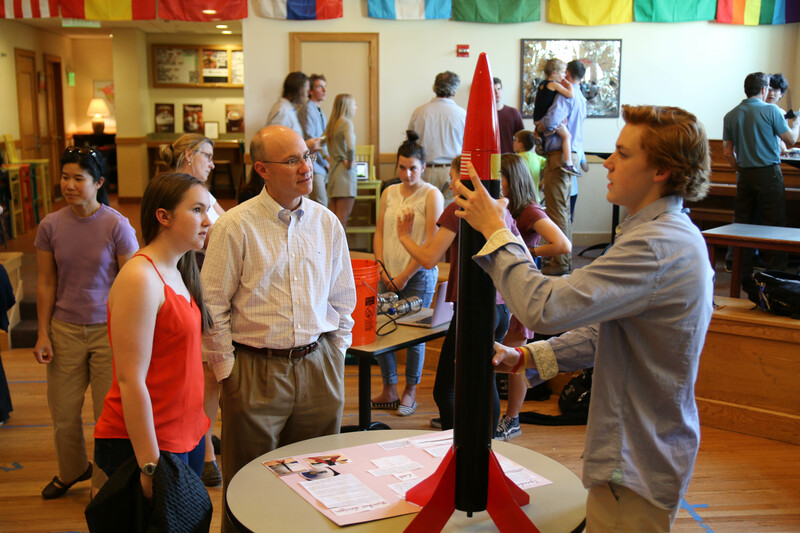 Each class took a slightly different approach to the night with Engineering students sharing their mathematics and construction stories of their rockets prior to next week’s launch and Globalization students embracing a short-term project investigating the geopolitical implications of conspiracy theories. 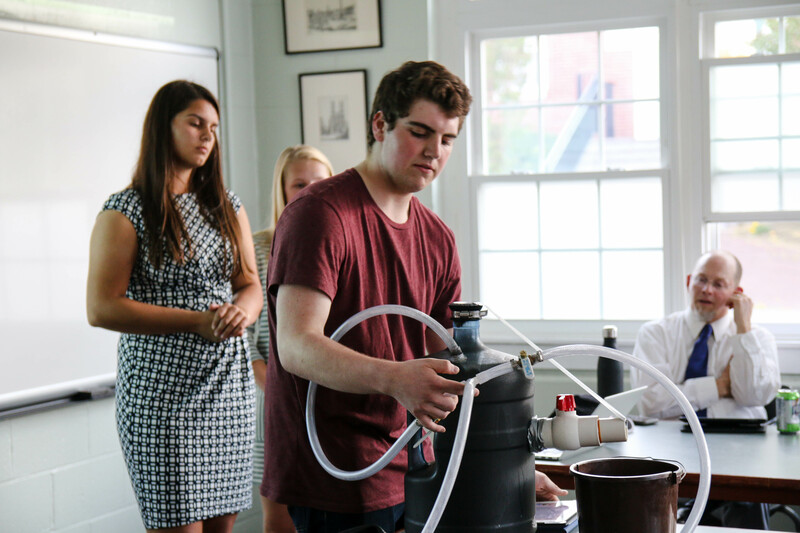 Following the AP Environmental Science exam, Alan McIntyre’s APES students joined forces with Chris Farrell’s Physics class to embark on a Proctor Energy Innovation competition. 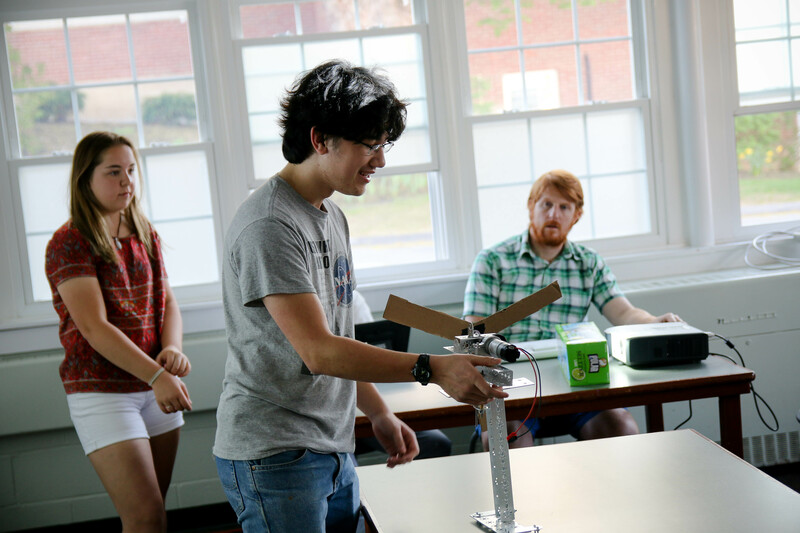 Four groups of students investigated unique, renewable energy solutions that could potentially be implemented on Proctor’s campus. A horizontal turbine atop the Proctor Ski Area (two photos above) and a spherical and a vertical turbine design (pictured above) that would sit atop the Fowler Learning Center and other buildings were well-received by guest “Sharks” John Ferris P’10 (Proctor’s COO) and Chair of Proctor’s Buildings and Grounds Committee, Tim Miner P’09. 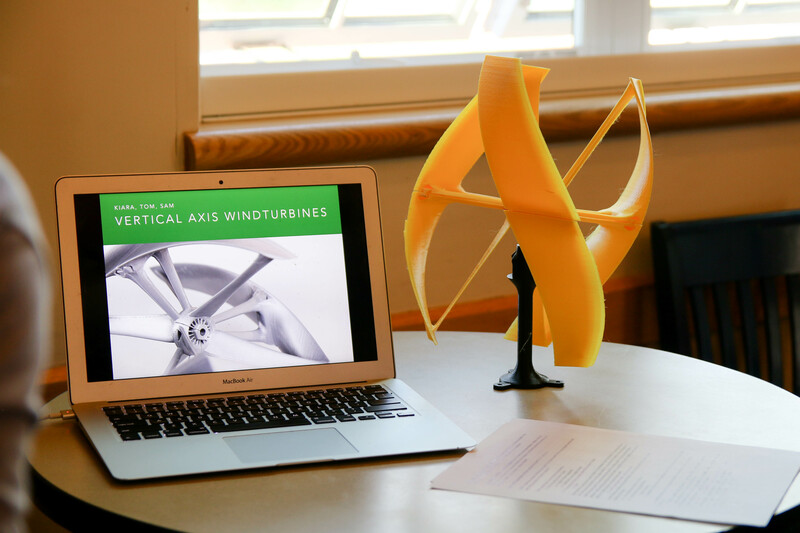 Students even used Proctor's 3D printers in the Tech Lab to print the scaled model of the vertical turbine! Equally impressive was a student proposal to adopt an evacuated solar hot water system for south-facing dormitories like Burbank East and West (pictured above), and a proposal to use food waste from the local community to fuel a biodigester on campus. While rudimentary in design (they have only been working on the project for the past week), their model (below pictured) demonstrated a thorough understanding of the mechanics of producing energy through a biodigester. Innovation Night affords an opportunity for students to display their innovative thinking, but is by no means a comprehensive window into project based learning at Proctor. Having a public forum for students to showcase their work provides invaluable feedback mechanisms that significantly enhances the learning process, but if you stroll through campus on any given day (especially gorgeous sunny days like today) you’ll see student learning in action beyond the confines of the classroom.